They say the new hot finish in Home decor is gold and shiny brass. OK, I get that, but did aged brass EVER look good? 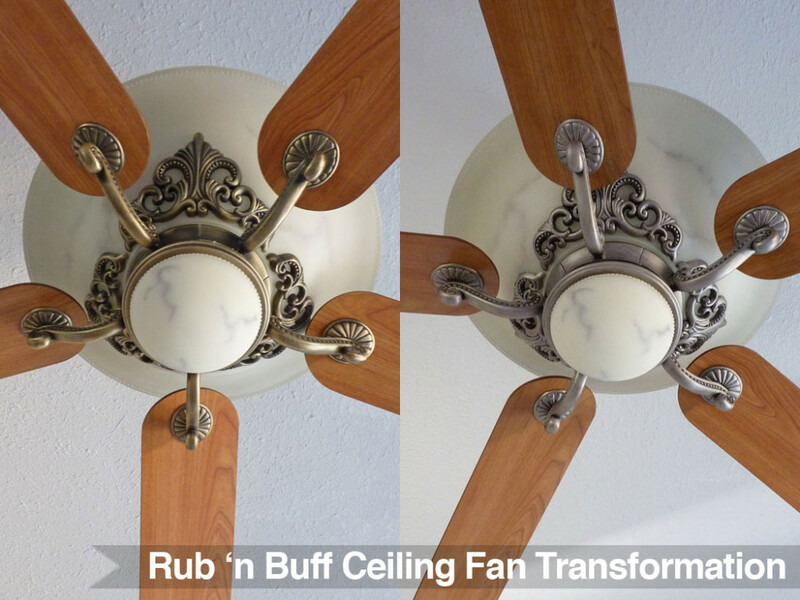 Unfortunately, every ceiling fan in the house is different and has a different finish. The one in the family room is, you guessed it, aged brass! UGH! 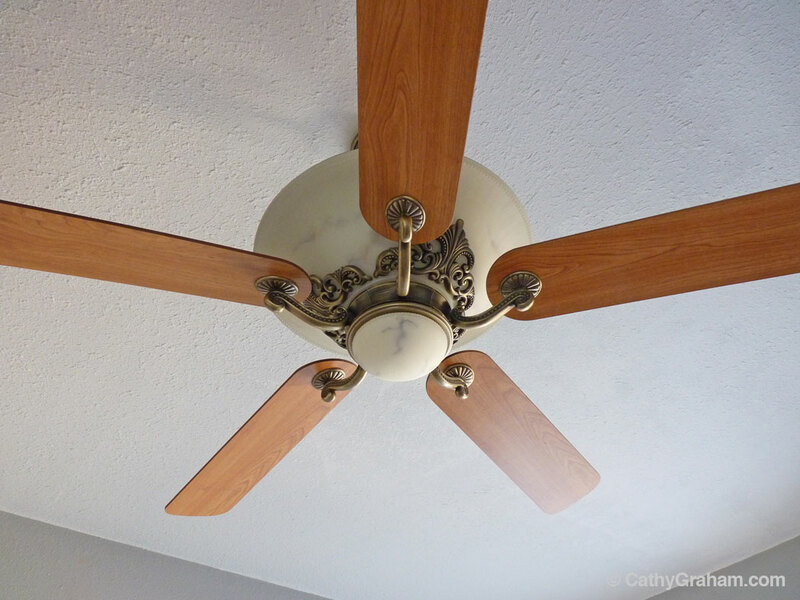 It’s a really nice ceiling fan – remote control, uplight and downlight, 52″, 5 blades, so, I didn’t want to replace it. But that aged brass had to go. If you are not familiar with a product called Rub ‘n Buff, then you are in for a treat. It’s a gilders paste that comes in a bunch of colors. There is even a patina buff for aging a finish. You can get a sample set of 12 colors from Amazon for about $30. You can use this on just about anything. Just like the name says, rub it on and then buff it. 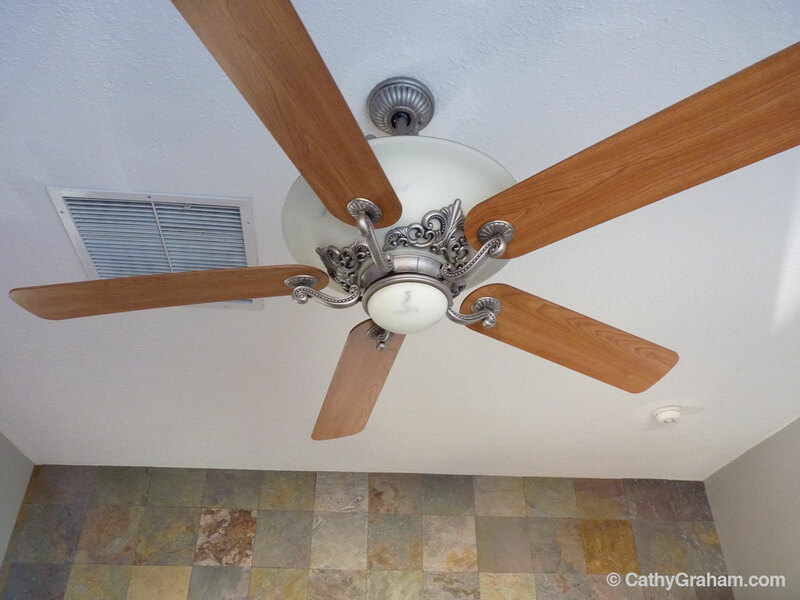 For the family room ceiling fan I chose the Pewter finish. It’s a darkish grey semi-matte finish. 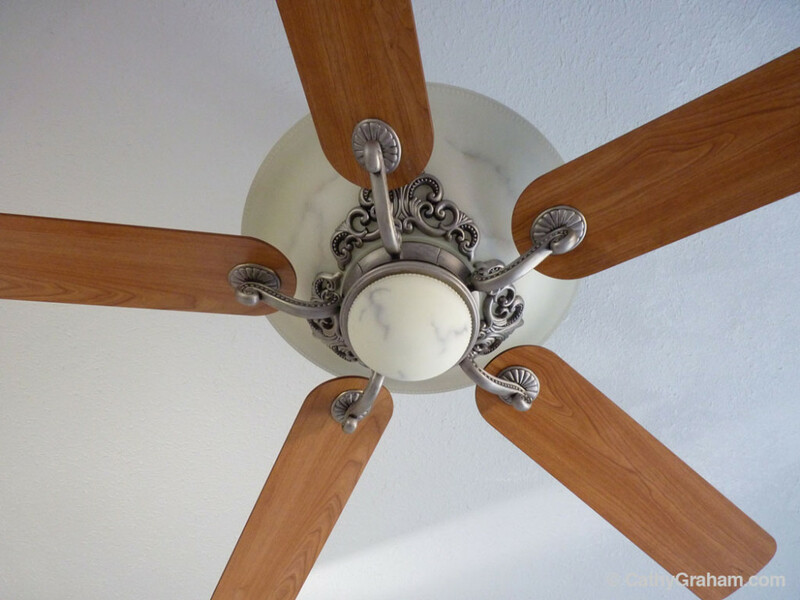 Since the ceiling fan was aged brass it has lots of dark areas that look really nice with the pewter. Basically, any low places that were blackened, still are and I ended up with an aged pewter finish. And look how great the pewter looks with the grey paint and slate wall! The whole process took about an hour. I used nitrile gloves and just rubbed it on with my (gloved) finger. This made the finish kind of rough, unrefined and gave me a bit more control. A lot of the scroll work is right on the glass light globe and keeping it off the globe took a steady hand. after rubbing all the surfaces I wanted pewter, I went back over everything with a microfiber cloth to knock down the rough areas and give the finish a bit of a sheen. Result, an stunning transformation from ugly aged brass to awesome aged pewter. I have lots of ideas on how to use this. 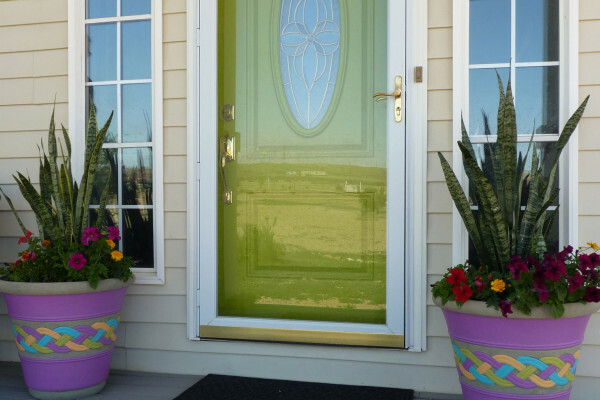 Where have you used Rub ‘n Buff or what new ideas do you have for it’s use? Thanks for using AMACO’s Rub ‘n Buff. Your fan looks amazing!! I’ve seen it used for a lot of transformations, but definitely never a ceiling fan. 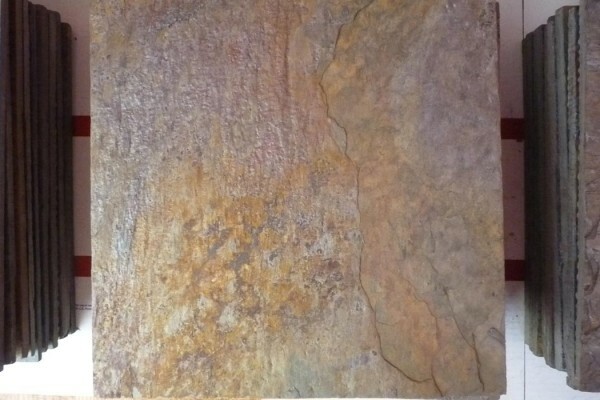 I’d like to post this on our Facebook page (Rub ‘n Buff Metallic Finishes) and link to your site. Looks great, Cathy! I have used Rub ‘n Buff on jewelry before. It is great! 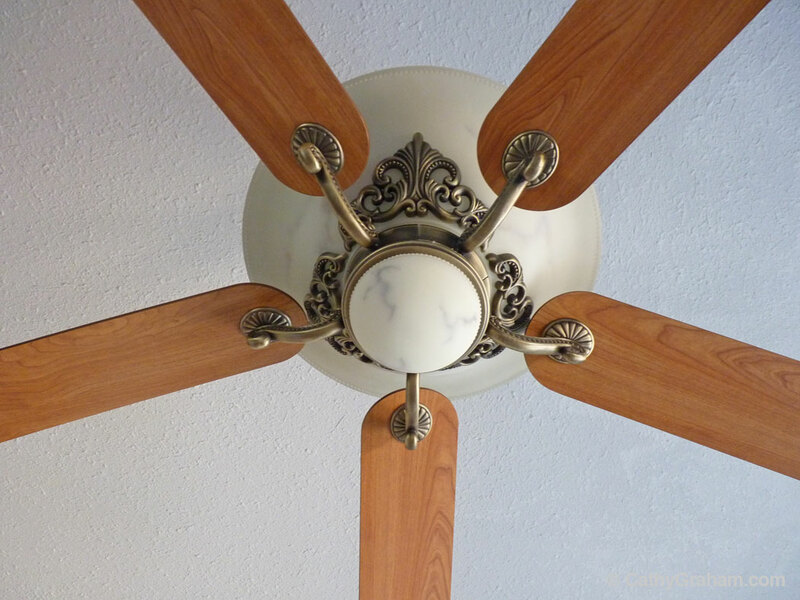 Ironically, I am considering taking a ceiling fan hardware in the opposite direction … from satin nickel to aged brass or antique gold. I’m so glad to know that it can be done and I’m not Cray Cray for consider it. Currently I’m playing with Baroque Guilders Paste. Have you had any experience with this product? Just curious how it might compare. Your transformation looks awesome. Thanks again! Hi Susan! I have not used Baroque Gilders Paste but I am sure it is comparable since that’s what Rub n’ Buff is – a Gilders Paste. 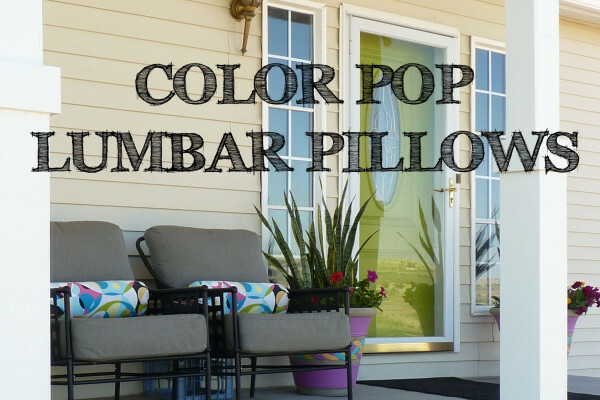 I am sure that Baroque, like Rub n’ Buff, has a big color selection. I’d recommend getting a sample pack if they have it so you can test out all the colors for a small price tag. Plus, there was plenty in the sample tube for me to have done 4 or 5 ceiling fans! I have others that I’ll be using it on when I get to those rooms. 🙂 Just a hint – be sure to wear your latex gloves! The guilder’s paste is petroleum based, so you don’t want it on your skin, plus I’m sure it’s be a pain to get it off! Good Luck! I’d love to see your fan when you finish. Cathy the fan looks great, nice job!! We have the same fan in our place, do you happen to know who this fan is by? It was in our house when we moved in and we’ve been trying to find out the name of it or the company who makes it but we can’t reach it (comfortably) because we have high, cathedral ceilings. Nakia, the ceiling fan is made by Hampton Bay. I know that Lowes and Home Depot carry this brand, but not sure if the model is still available. Hope that helps!